#Breckenridge is Beautiful Right Now! 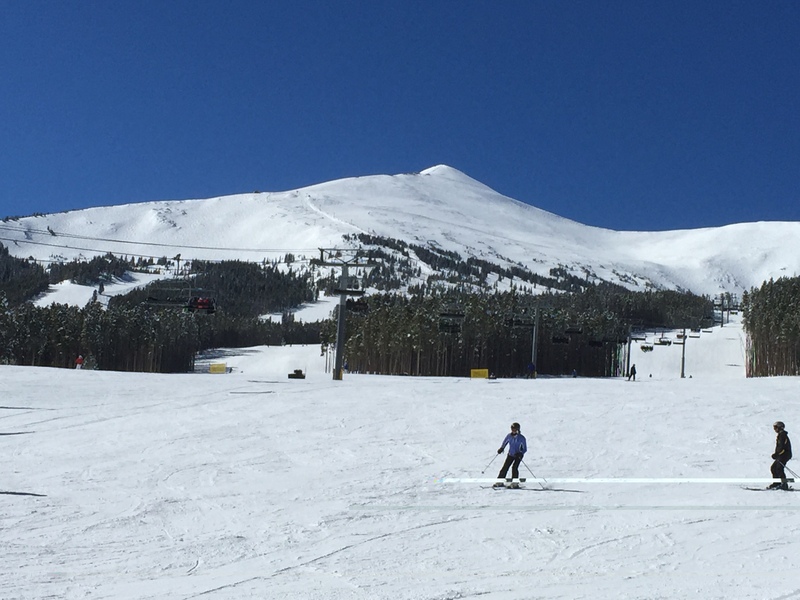 Yesterday it was fresh powder and lots of sunshine on the slopes in Breckenridge. Today snow is falling, skiers are skiing, and the mountains are blanketed in beautiful, glistening powder. Inside, folks are enjoying snuggling by the fireplace with a good book or movie, and outside any number of exciting adventures are taking place, including snowmobiling, snowshoeing, cross-country skiing, snowboarding and of course, skiing. In downtown Breckenridge the trees still twinkle with the white lights of the holiday season, warm light spills onto the quaint streets from the dozens of unique shops that line the charming Victorian town of Breckenridge. Not to mention the eclectic dining from gourmet burgers to upscale dining in local restaurants where the owners are the chefs. What’s not to love about Breckenridge? Absolutely nothing! So where are you? All it takes is one visit in Breckenridge to fall in love. It is not only the perfect vacation destination, but the perfect all season town that is ideal for a second home. Fractional real estate ownership is the perfect solution to have a second home in Breckenridge at a fraction of the cost of whole home ownership, and with more amenities than most luxury homes will ever include. The limited offering of luxury fractional real estate at The Grand Colorado on Peak 8 is destined to quickly become the most desirable and exclusive address in Breckenridge. Featuring mountain modern studio to four bedroom condos, ski in/ski out access and stunning slopeside views of Peak 8 plus five-star resort amenities, fractional real estate ownership paves the way to own your own Breckenridge real estate that you can return home to over and over again. Please be sure to check out our featured properties by CLICKING HERE. For a complimentary brochure on all that The Grand Colorado on Peak 8 has to offer, simply fill out the convenient form below or call Brent Henry, Senior Broker, at 970-485-2117. This entry was posted on February 25, 2015 by elevatemarketingaz. It was filed under Breckenridge Colorado Luxury Condo Sales, Breckenridge, Colorado Real Estate, Fractional Ownership Real Estate Breckenridge CO, Fractional Real Estate Breckenridge Colorado, Luxury Fractional Real Estate Breckenridge CO, Luxury Fractional Real Estate Breckenridge Colorado, Ski In, Ski Out Luxury Condo Breckenridge Colorado, Uncategorized and was tagged with Breckenridge Colorado, Breckenridge Colorado condos, Breckenridge Colorado skiing, Breckenridge luxury condo sales, Brent Henry Breckenridge real estate broker, Grand Colorado on Peak Eight, ski out real estate breckenridge colorado.